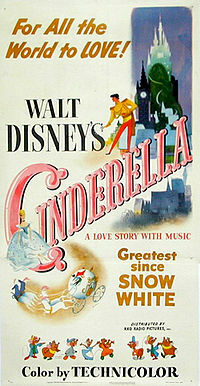 "Cinderella" (1950), directed by the team of Clyde Geronimi, Wilfred Jackson and Hamilton Luske, was a big hit for Disney. In "Cinderella," the beautiful Technicolor animation of Disney movies combines with top voice talent to create a magical aura. Based the classic fairy tale, Al Hoffman, Mack David and Jerry Livingston wrote inspiring songs for this Disney movie that resonate to this day, and unknown young actress Ilene Woods perfectly captures the attitude and spirit of the beautiful fairy tale Cinderella who defies the odds and becomes a princess. Disney's animation studio was at its peak (technically, the 1930s was the true "Golden Age" and the "Cinderella" era usually is referred to as the "Silver Age," but the Disney team remained in top form, and film quality and color processes had improved greatly), but it was looking for something to do. The somewhat uneven "Package" era during and just following the war years had come to a close, and the entire staff that had avoided wartime cutbacks was ready to roll. Disney Found what he was looking for in the works of J.M. Barrie, who had been the top playwright of Disney's youth. 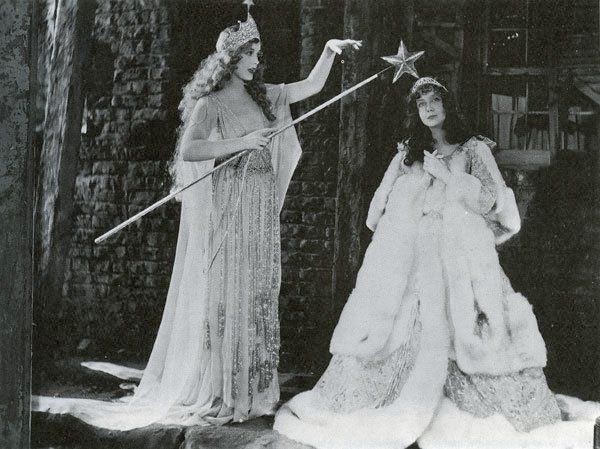 Disney may even have gone to see Barrie's play or the film that arose from it, "A Kiss for Cinderella" (1925). This was right before Disney got heavily into television, so the animated feature films remained the studio's main focus. Mary Blair was in charge of color and styling, really the key position in the whole film production staff after Walt Disney himself, and she maintained an air of cool sophistication throughout. The colors in her work are usually muted and clear, shining through without being a distraction. The hand-drawn animation was superb, not yet subject to the cost-cutting of the xerographic process used in the 1960s onward. Walk into any store featuring Disney items and you will see the original Cinderella, drawn in iconic and eternal good taste in the style laid down by Blair and Disney himself. The adorable animals will draw you in, if nothing else does. The Wicked Stepmother's cat Lucifer and the others are not mere help-mates, but instead enhance the nuances of the characters around them. Lucifer (June Foray), in particular, is a brilliant creation, based by animator Ward Kimball on his own pet. 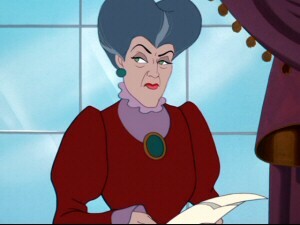 Lucifer serves as an extension of the Wicked Stepmother's evil ways (she is known as Lady Tremaine and played by Eleanor Audley). It's difficult not to be amused by Lucifer, as Lady Tremaine strokes him, giving snide looks while Lady Tremaine gives Cinderella a list of chores to complete. 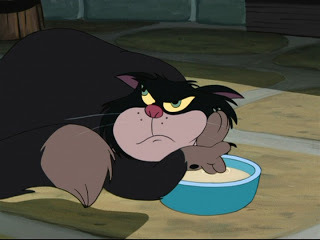 Lucifer is the forerunner of many similar cats, mice, and other small animals with attitude in future Disney movies. Lucifer is hilariously malicious, walking with an arrogant and snobby gait and expression while lording it over poor Cinderella. The character of Salem Saberhagen in the Television show "Sabrina, The Teenage Witch" (1996) (Salem being the best thing about that show) clearly is a wacky take-off on him. The mice that befriend Cinderella are charming and musical, particularly amusing when working hard to make a dress for her. They serve as the Disney movie's comic relief, necessary because the rest of the film is rather straightforward and, in places, dark. 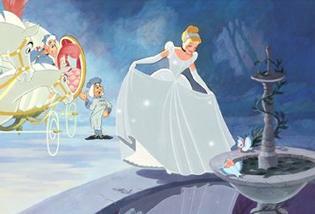 Everybody knows the basics of Cinderella the story, based on the classic Grimm Brothers tale. There are no surprises in this film, though it skips the parts about Cinderella receiving help directly from her dead mother in heaven via birds. Instead, it invents a "Fairy Godmother" to take care of all the magic (though other classical versions did have such a character). Fairy tale Cinderella is a lovely girl whose wicked stepmother unfairly and cruelly favors her own very ordinary daughters over her. While they play, Cinderella slaves away in the house, cooking and cleaning without complaining. When an invitation to the King's (Luis Van Rooten) Ball arrives, at which the eligible young prince (un-named in the film, but he is called Prince Charming in the fairy tale and is voiced by Mike Douglas, who later became the famous talk show host) will be present. Cinderella works and works to earn an invitation, but her wicked step-mother, fearful of the competition for her daughters, reneges on her promise to allow Cinderella to attend with the other girls. Not only that, she maliciously destroys the dazzling gown that Cinderella would have worn just to make sure. 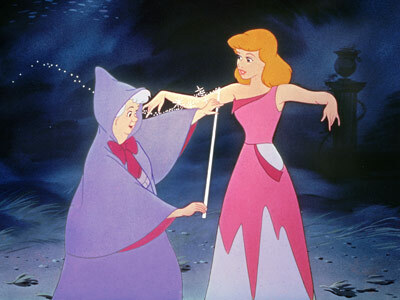 Cinderella becomes distraught, but her Fairy Godmother (Verna Felton) appears and creates an elegant carriage out of the mice and some other items. The prince sees Cinderella and falls in love with her, to the dismay of her step-sisters and Lady Tremaine, but the poor girl has to hurry home before midnight when the spell that allowed her to attend the Ball is due to expire. All the running girl leaves behind is a glass slipper. The prince, enchanted, then embarks on a furious search with the slipper as a guide to find his true love. 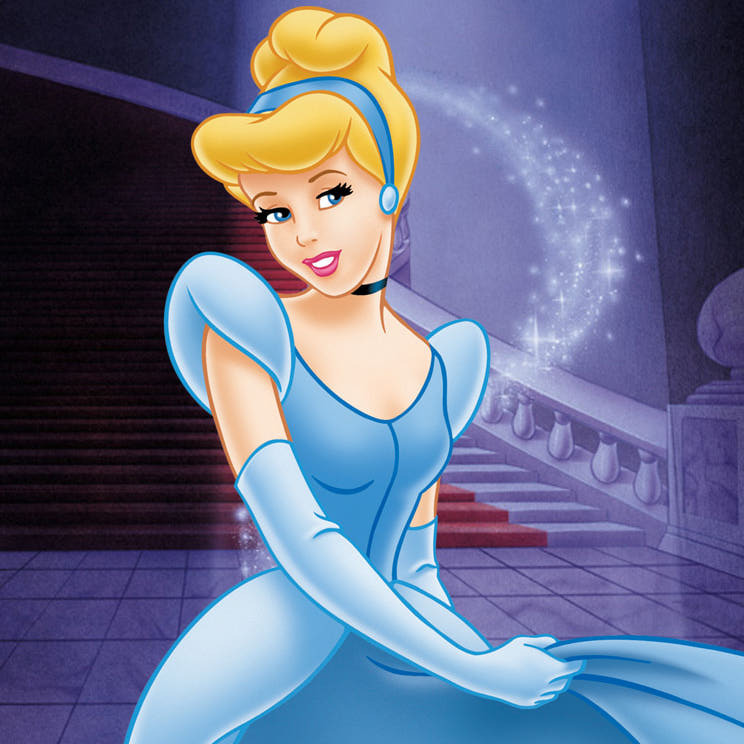 Cinderella is one of the most endearing characters in the Disney catalog. She is pleasant with a touch of humor, and is well-drawn. She looks even better in the restored version which you are likely to see now. She is not overly romantic, so we don't feel excessively sorry for her as a victim, but instead as a fighter determined to work through her troubles and achieve her destiny. Ilene Woods, who voiced Cinderella, quickly had three children and didn't try to cash in on her fleeting fame, leaving hers as the unique voice of the fairy tale Cinderella. If there is anything bad to say about this Disney movie, it is that it is not very original, but that was always the case with the classic Disney movies. Changing things would just have ruined the entire story and required someone else to do a lesser job of just telling Cinderella the story the way it is known by everyone. Walt Disney got the pure version that simply had to be made out of the way with this Disney movie, and it was a huge hit and continues to sell well in the restored DVD version. Someone had to do it, and Disney did it. Case closed, time to move on to other classics like, oh, maybe "Alice in Wonderland." Or how about "Peter Pan"? Perhaps "Sleeping Beauty"? Hey, why not do all three! Any film that Bill Murray can reference in classic un-ironic fashion in "Caddyshack," one of the best-remembered homages in film history, should be seen to appreciate that hilarious comic routine. Jerry Lewis also took his shot in "Cinderfella" (1960), which itself currently is in development for a re-make. But these are just imitations: nothing compares to the original. 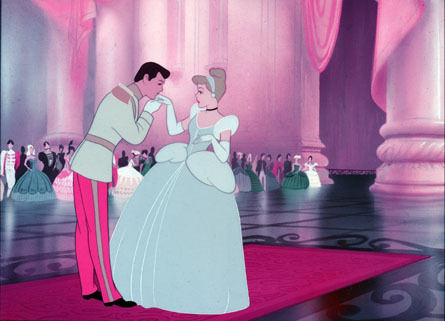 "Cinderella" is a landmark that is worth watching for the animation alone, or the songs alone, or the story alone. Taken all in a package, "Cinderella" is an amazing achievement, and anyone interested in animation or fairy tales in general should see this endearing version of the classic rags-to-riches story at some point. The long-awaited sequel "Cinderella II: Dreams Come True" came out in 2002 and is a competent enough follow-up, and later came "Cinderella: A Twist in Time." 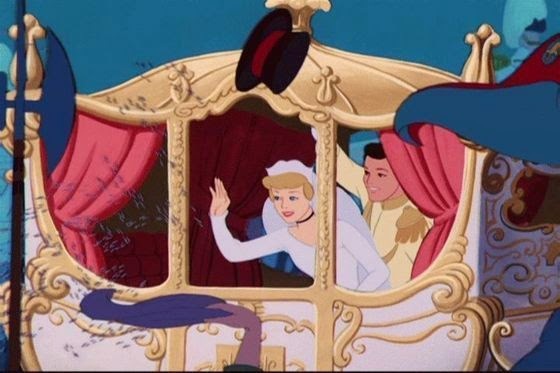 They are fine movies and also worth a look, but the original fairy tale "Cinderella"is one Disney movie that most definitely still stands on its own. Below is the original 1950 trailer, and below that a four-minute picture run-through of the classic animated film, which is kind of fun if you don't have time to watch the whole thing.